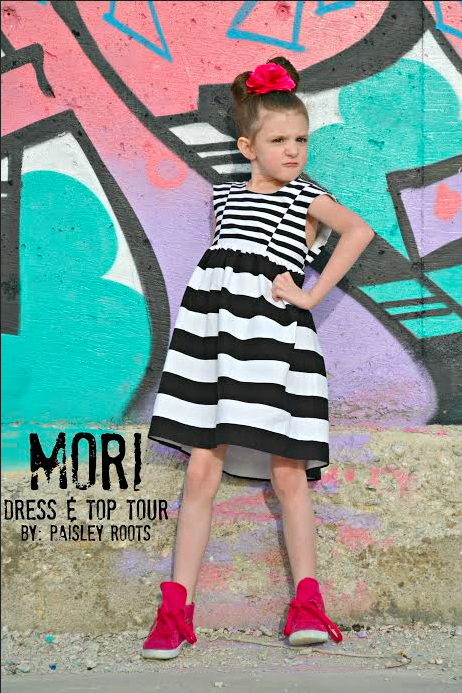 What a treat to get to share this incredible Mori Dress made by Karly from Paisley Roots! Her impeccable stripe matching makes for a very striking one-of-a-kind dress. No wonder her adorable daughter is looking so fierce! That's one fierce looking Mori! Don't miss out on all the details. Head over to Paisley Roots!